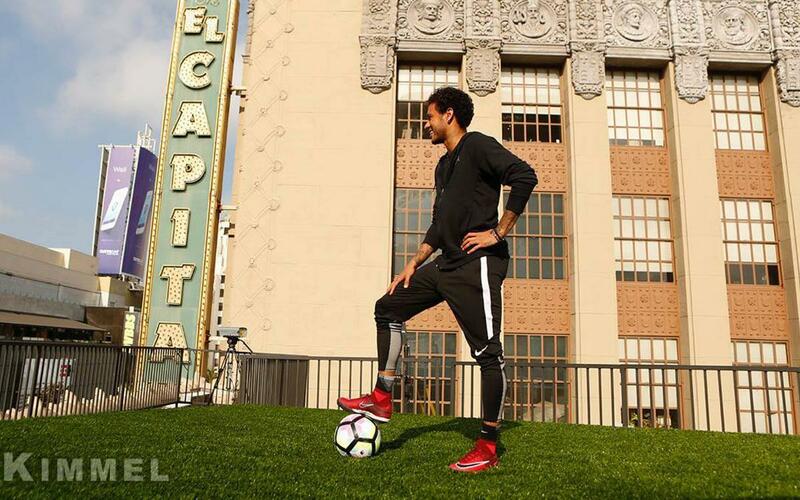 Neymar scores rooftop goal on Jimmy Kimmel Live! In a sequence remeniscent of an old TV commercial featuring Michael Jordan and Larry Bird playing a game of H-O-R-S-E that gets oh so entertainingly out of hand, FC Barcelona striker Neymar Jr took to the rooftop of a building in Los Angeles, California to try and score a goal in a net located across the street and guarded by a goalkeeper. Check out this uproarious segment, which appeared on Jimmy Kimmel Live! this week, as Neymar, who was in town to attend the NBA Finals, takes three cracks at perhaps the tallest challenge — pun very much intended — in his still burgeoning career!